Cost of living expenses are constantly on the rise while pay increases or raises are on the decline. It is harder than ever to meet ends meet with one job; so much so that many are going out to pick up a second job for extra cash. One of the expenses that continues to rise is car insurance. Every year many experience an increase in their car insurance premiums. This is because it is costing the insurance company more to pay claims as hospital services and collision repair costs have increased. While it may be stressful to experience an increase in your car insurance premium, this article will give you some tips as to how you can switch companies and get the best deal possible on your insurance plan. Make a down payment on your plan. By making a solid down payment on your car insurance premium, you will instantly decrease your monthly payment. Many companies are requiring a deposit when you sign up for new service as a way to ensure that you can pay the premium. Depending on the company you choose to go with, it is possible to get $20 down payment on car insurance. To find such a plan, do your research and do not jump at the best deal that you find. Take your time in making a decision. Research various companies. Every company is different in the way that they manage their business. For example, one car insurance company may offer you an outstanding insurance premium up front but after 6 months and your insurance policy renews, the rates can skyrocket. This is because the insurance policy may not have had an underwriter process the policy. After 6 months when the policy is up for re-installment, an underwriter will then process the policy and your rates will sky rocket. The initial 6 months bought you some time at a great rate but after that time period is over, your rates are up and you are basically making up for the discount you received over the past half of a year. Ask questions about fees and payment installment costs. Some companies may offer you a great rate up front but when it comes time to put together the monthly payment, additional fees from the state, government tax, and installment costs can hike up your rate by $10-$15 minimum. Be sure to inquire about these fees up front when you request a quote. 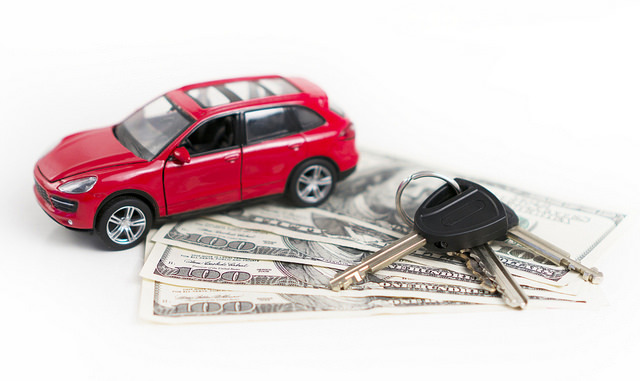 If you do not have a car yet, be sure to inquire about insurance cost before buying. Bundle insurance policies together for a discount. Many insurance companies will offer a significant discount if you purchase more than one policy from them. If you own a home or are renting a house, you will likely want to have homeowners insurance or rentals insurances. Bundling your home insurance with your car insurance can save you a chunk of change. There are other ways to get discounts so be on the lookout for opportunities. If your company offers a discount with a specific company, be sure to inquire about it.